Hampton Roads Prostate Health Forum plays a key role in alerting and informing the public about the number of men in general and men in high risk groups in particular who die from prostate cancer each year. The Hampton Roads Prostate Health Forum (The Forum) is pleased that the United States Preventive Task Force (The Task Force) in its final recommendation is reversing its 2012 Grade D recommendation against PSA screening for all men. The Forum strongly supports the Task Force’s Grade C recommendation for offering PSA screening to individual patients based on their risk factors and discussion of the benefits and risks of screening with their health care providers. This reflects the appropriate importance of shared decision making in this context. The Forum is calling for a “national priority” to gather the necessary data to establish an evidence-based recommended age to start PSA screening for African Americans and other men at high risk for being diagnosed with and dying from prostate cancer. This has been a goal of the Forum for nearly a decade based on local incidence, mortality and disparity data. That is why The Forum believes that annual PSA testing and digital rectal exams should begin no later than age 40 (baseline) for African American and other high risk men. 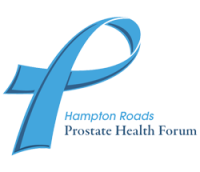 The Forum is recognized in Hampton Roads, Virginia as the region’s preeminent source of prostate cancer education and early detection events. We believe awareness and educational training should start at age 35 for African American (and other high risk men) and the women in their lives so that by the time these men reach age 40, they will know the risks and benefits of PSA testing and digital rectal exams. They will also know the value of active surveillance and the increasing number of new diagnostic tools and treatment therapies. Promote knowledge of early detection through awareness and educational activities with a focus on the benefits and potential harms of PSA testing and wellness involving diet, nutrition, exercise, weight control, psychosocial and cultural sensitivities starting at age 35. Baseline PSA testing for men of African descent and other men deemed to be at high-risk for prostate cancer is suggested beginning at age 40 for predicting their risk of prostate cancer. These men should make individualized decisions to be tested and examined based on their risk factors after discussion with their health care provider. Individualized decision making should be extended to men age 70 and above provided they have a potential life expectancy of 15 years or more. PSA testing should not be considered on its own, but rather as part of a multivariate approach to early prostate cancer detection. That would include digital rectal examinations, prostate volume, velocity, and density measurements, and other tools that can help improve risk stratification. A prostate cancer diagnosis must be uncoupled from prostate cancer intervention.